Last week, the Third Circuit Court of Appeals issued an important decision regarding the Fair Labor Standards Act and employee rest breaks. Ultimately, the court determined that employers are required to compensate workers for breaks, however, this is only true for certain types of rest breaks, so if you have questions about whether your employer should be paying you more, it is important to speak with an experienced wage and hour attorney who can explain your legal rights. Under the Fair Labor Standards Act (FLSA), employees must be paid for the hours that they work. While the statute does not specifically define the term “work,” previous case law has made clear that hours worked is not limited to the amount of time that an employee actually fulfills his or her job duties. As a result, rest breaks can still count towards “hours worked” under federal law. However, the FLSA doesn’t require employers to give employees breaks, although if an employer does choose to allow employees to take short breaks, ranging from five to 20 minutes, he or she must compensate workers for that time. The case in question involved a company, American Future Systems, which hires sales representatives to distribute business publications. 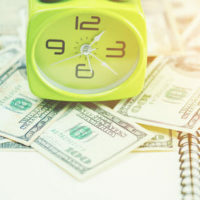 The company’s employees are paid hourly, but also receive bonuses based on the number of sales that they make per hour, and can collect additional compensation if they make a certain number of sales per hour in a two week period. However, this only applies when employees are logged onto the computer at their workstation. In 2009, the company officially eliminated paid breaks, but allowed employees to log off of their computers at any time throughout the day. It was also understood that employees would only be paid for time when they were logged on to the computer unless a break lasted for less than 90 seconds. The company did not acknowledge this as a break policy and instead referred to it as a “flexible time policy,” refusing to compensate employees for these break periods. Eventually a number of employees came forward, claiming that they were not being paid for breaks taken when they were not logged onto their computers for more than 90 seconds. On appeal, the third circuit court reiterated that while the FLSA does not require an employer to provide employees with breaks, if an employer chooses to do so, he or she must compensate workers for breaks of up to 20 minutes. The court further explained that just because the company referred to the break periods as “log off” or “flexible time” did not mean that those periods of time did not constitute breaks under the meaning of the FLSA. For these reasons, the court ordered American Future Systems to provide its employees with back pay for those hours, in addition to liquidated damages. If you are not being paid for rest breaks at work, you may be eligible for damages. To learn more please contact one of the dedicated Florida wage and hour attorneys at Saady & Saxe, P.A. Attorneys At Law by calling 813-909-8855 today.